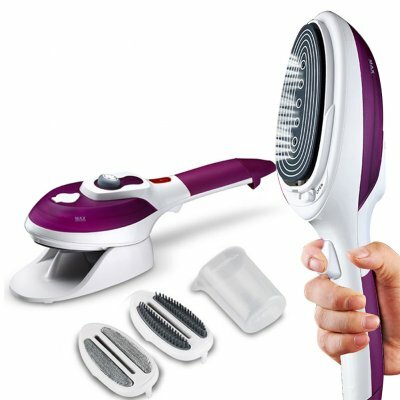 Successfully Added Household Vertical Steamer Garment Steamers Irons Brushes Iron for Ironing Clothes Purple to your Shopping Cart. Premium ABS material of great strength for long-lasting use, handheld design for comfortable grip and convenient use. Multifunctional item, with anti-static brush and cleaning brush head. Good wrinkle smoothing effect, good disinfection and sterilization effect. Heating quickly, Compact and lightweight, ideal for travel and home use. Due to manual measurements, there may be 1-3 cm difference. The colors deviation might differ due to different monitor settings, please kindly understand.